With Game of Thrones coming to an end soon, there’s going to be a hole in our lives for a big-budget fantasy show. Amazon apparently hopes to fill that hole with one of the biggest fantasy worlds around, with an adaptation of J.R.R. Tolkien’s beloved series. Variety reports that Amazon CEO Jeff Bezos has gotten personally involved in a series of negotiations between Amazon Studios, Warner Bros. TV, and the Tolkien estate to bring the seminal trilogy of books to the small screen. Talks are apparently in the earliest of stages and no deal has been set yet, but the report further claims that Warner Bros. and Tolkien’s estate have been shopping a live-action TV adaptation around before these talks, and Amazon has emerged as a frontrunner. News of Warner Bros. and the Tolkien Estate working together again is also a surprise, given that their long, bitter legal battle—stemming out of a disagreement pver the Warner Bros.-produced Peter Jackson Lord of the Rings movie characters being used in video games and slot machines—only recently concluded. The deal would be a huge get for Amazon Studios, which has already made a name for itself with its adaptation of The Man in the High Castle recently alongside original series like Transparent, and Amazon has made it clear it wants to make a move into larger-scale, wide-appeal original content going forward. 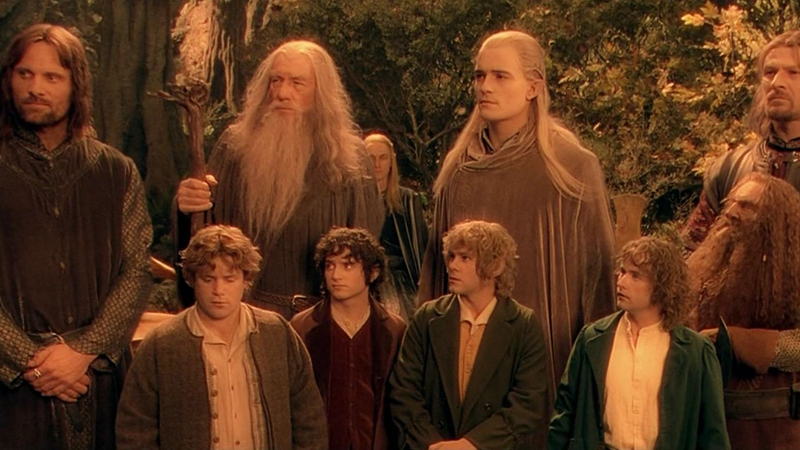 Suffice to say, Lord of the Rings would be a significant step in that direction, and arguably the company’s biggest and grandest foray into TV yet, if the deal goes through. And that’s a big if, given how early this allegedly all is. We’ll bring you more on the rumored Lord of the Rings TV plans as we learn them. Correction: An earlier version of this article stated that Amazon Studios produced the Handmaid’s Tale TV series. It is produced by Hulu.